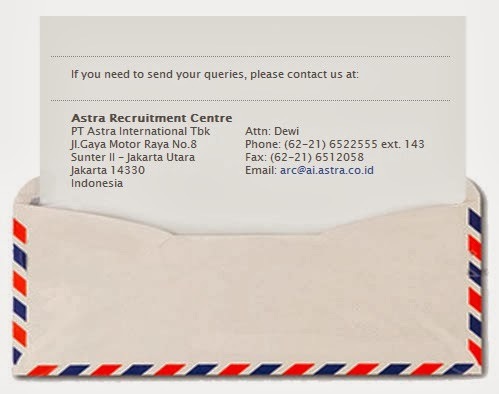 Since early 1974, Astra has been concerned with the education sector in Indonesia, and as many as 134.056 scholarship program has been issued by Astra. As a concrete manifestation of Astra concern to the Indonesia's education sector and Astra Roadmap strategy, namely: Portfolio, People & Public Contribution. Then in every second semester in each year, Astra gives scholarships and mentoring program for 1 year in developing technical competencies and non-technical or soft competencies. Through this program students are expected to be able to recognize the world of work more closely and can utilize Astra's affiliated company environment to improve their soft and technical competencies. In the future, Astra will continue to expand the mentoring program to students so they are ready to contribute optimally to the organizations where they work and become the qualified next generation. 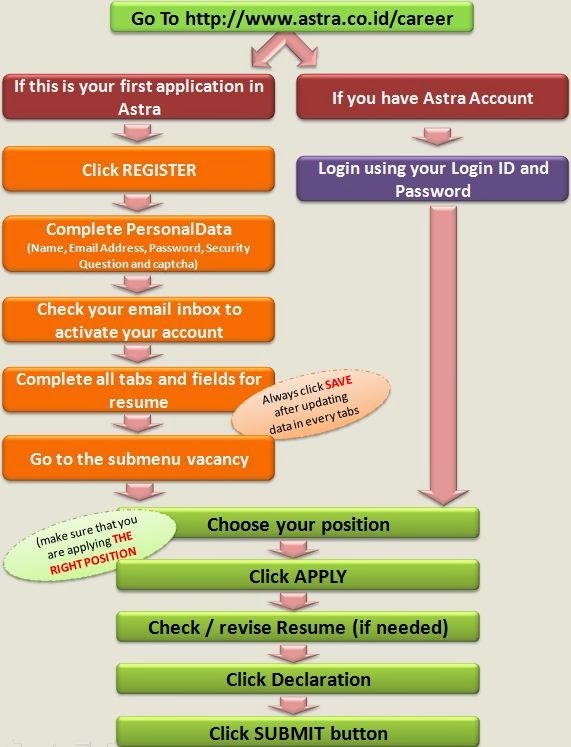 All decisions taken by PT Astra International Tbk related Astra 1st Program are absolute and inviolable. 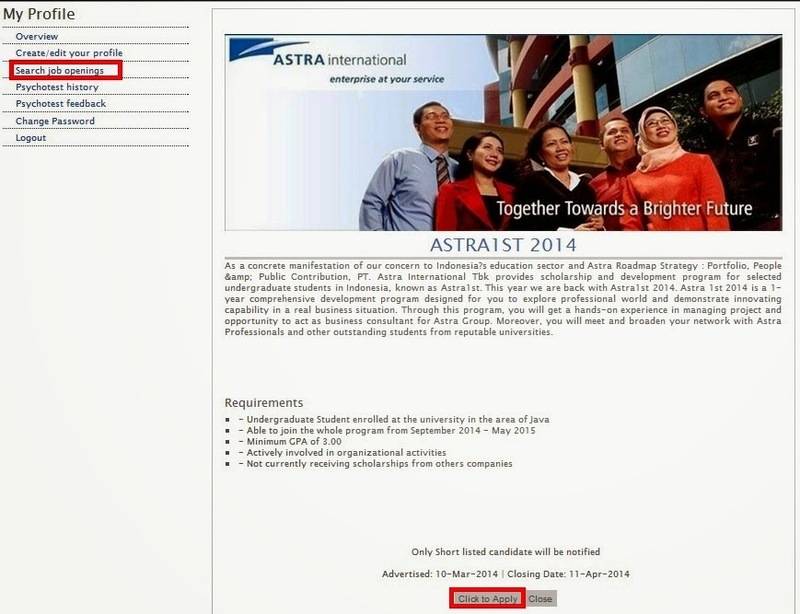 mbak, klo mau registrasi beasiswa ini gmn caranya? iya, ini cara registrasinya gimana? belum jelas, mohon dibantu. terimakasih.